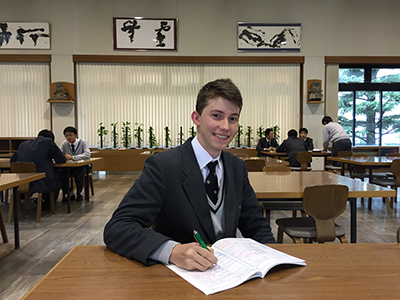 The biannual program with Marmoutier Lycee has become a regular event on the Nigawa Gakuin calendar of international activities. On October 24 we received a group of students and teachers, the third time we have had the opportunity to take part in exchange activities with our friends from France. 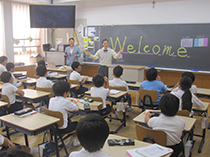 Throughout the day, our visitors took part in activities with Nigawa Gakuin elementary, junior high and high school students, but this time it was the junior high school’s turn to take center stage. 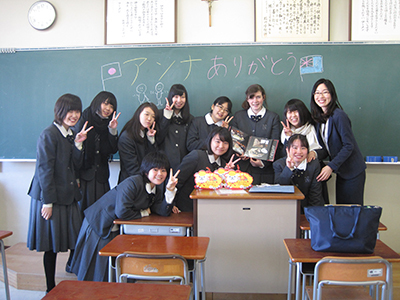 In addition to numerous in-class activities that included social studies, Japanese and English lessons, the French students were hosted for 3 nights by students from the junior high school, giving them a unique chance to experience Japanese home life. 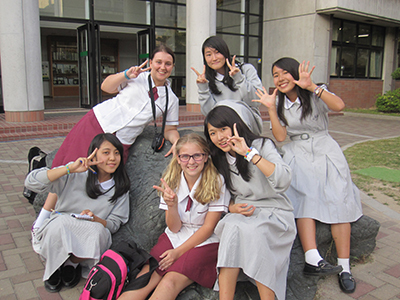 Moreover, the host students had an opportunity to make new friends and communicate with students from abroad in a more relaxed setting outside the school. 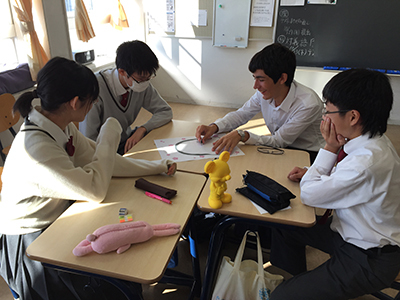 These friendships have, in the past, been ongoing, with students staying in contact via e-mail and one Nigawa Gakuin student even visiting France during the summer vacation! Thank you Marmoutier for yet another exciting day. 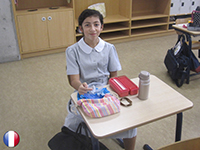 All of us here at Nigawa Gakuin look forward to our next meeting. 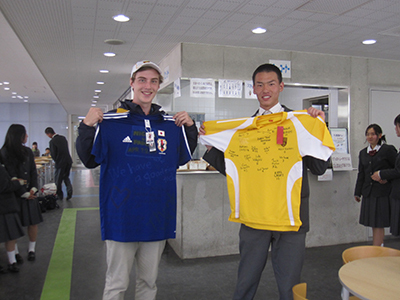 Nigawa Gakuin was recently lucky enough to have our first ever visit from a school in Taiwan! 25 students from Li Jen Senior High School, also a catholic school, spent a fun-filled day with us that included some special lessons, a musical performance, a tour of our facilities and, of course, some student exchanges. 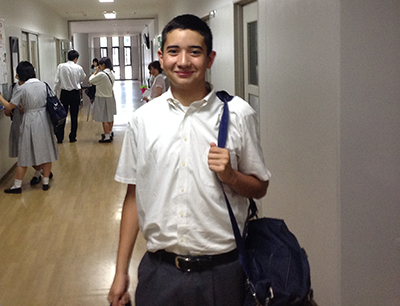 With English as our shared language of communication, we learned that the distance between our countries was much smaller than the map may suggest, and their wonderful school introduction (presentation) gave us an insight into school life in Taiwan that has increased interest towards our Asian neighbors. Such excanges are a valuable opportunities to not only learn about other cultures, but enable us to be aware of the things we have in common. Thank you Li Jen!